If there’s one thing I associate with St. Paddy’s Day in Boston, it’s cultural appropriation. If there’s two things I associate with St. Paddy’s Day in Boston, it’s day drinking (the irony involved is not lost on me.) Luckily, I’ll be doing both of those things on the afternoon of March 17th at the St. PadDIY’s Ska Festival at The Midway Cafe in Jamaica Plain. 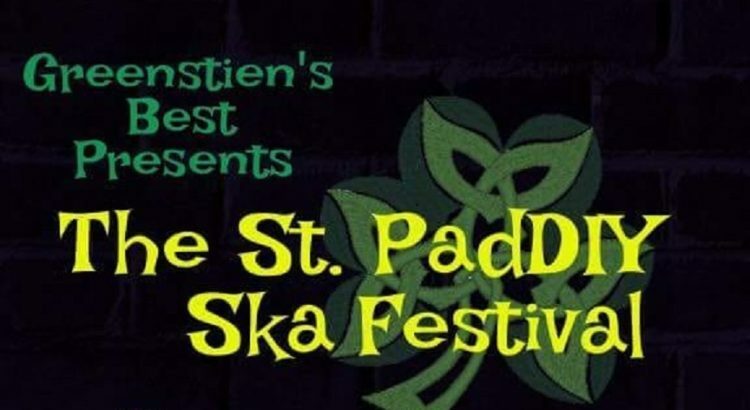 Put on by Greenstien’s Best, the all-ages matinee show features five local ska bands and will start at 3pm. Get more information on the show’s Facebook event page. For more Boston-area shows coming up, check out the Boston Ska Event Calendar. Disclaimer: The author of this post, as well as the head editor (headitor, he likes to be called, we just give him that one) both play in The New Limits.